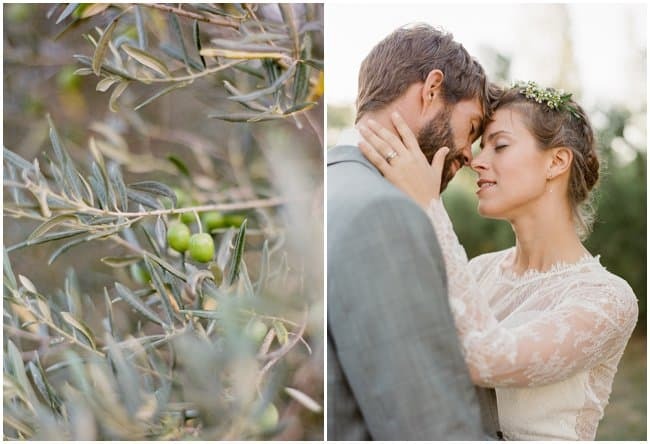 Sometimes a simple wedding can make a big impact and that is exactly how I feel about this olive grove wedding shoot in Provence. 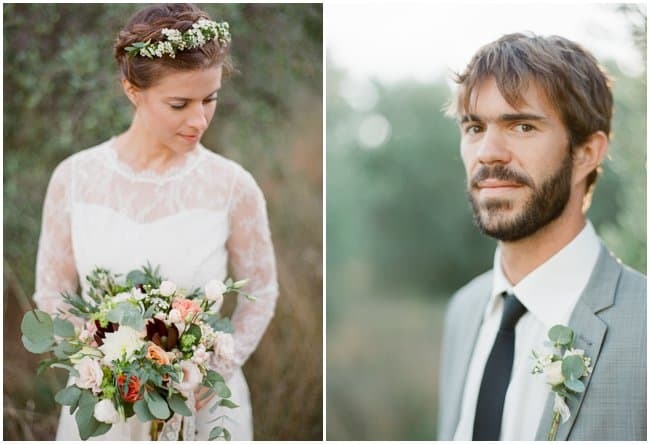 Tessa looks stunning in her lace gown with a milkmaid braid and floral crown. At the same time, she looks extremely elegant and down to earth. 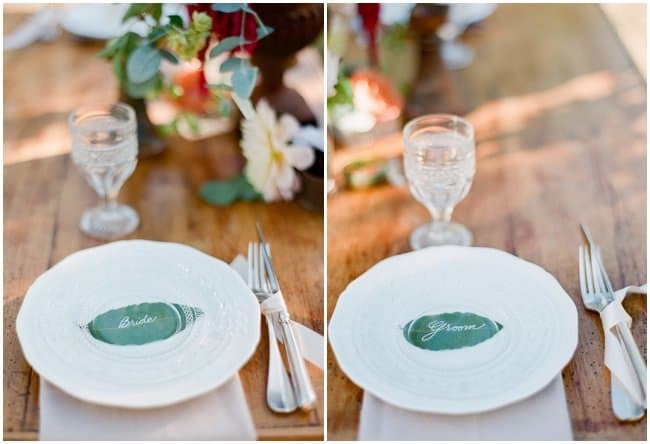 The clean look of the leaves as place cards on the plates is perfect for this olive grove shoot! 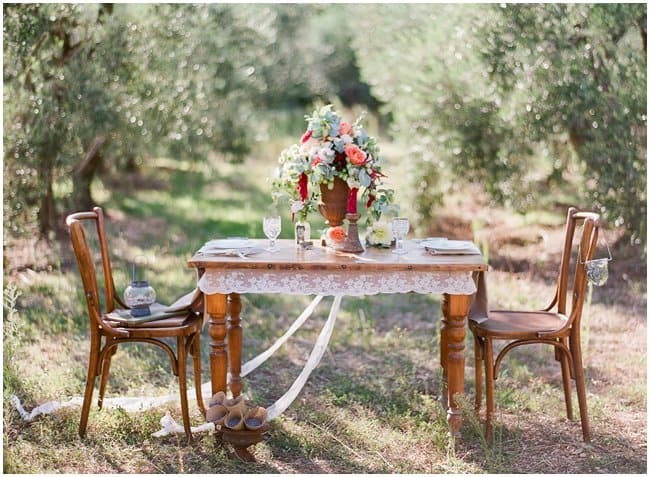 Speaking of the olive grove, how perfect of a location for photos and to say your vows! 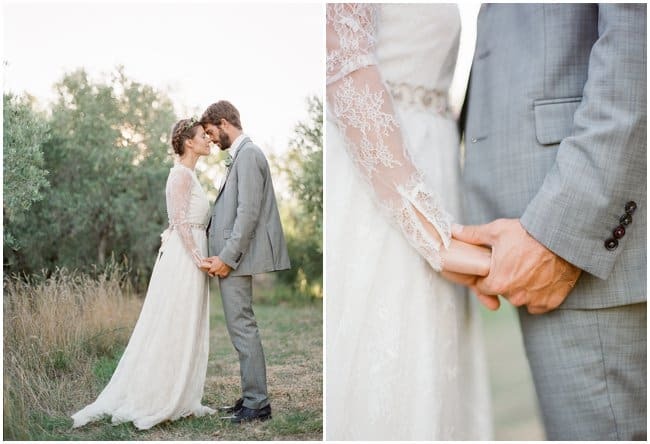 I am in awe. 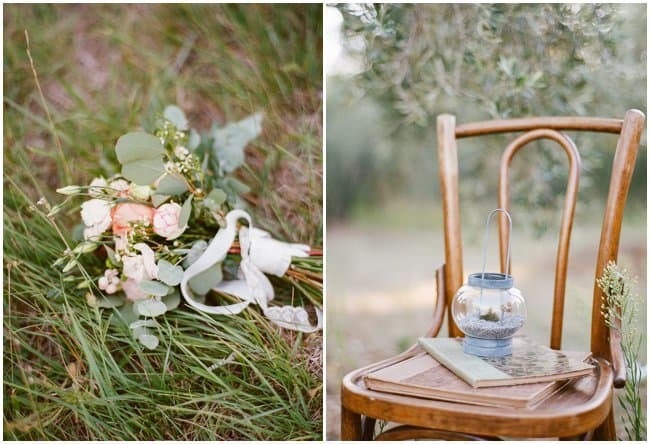 Provence and romance are inseparable. 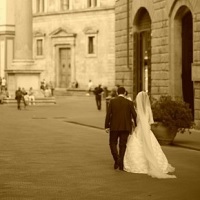 What a beautiful choice of a venue. 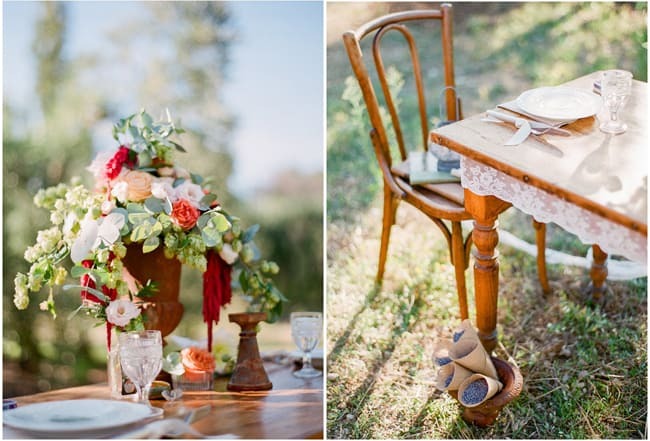 What a beautiful setting! 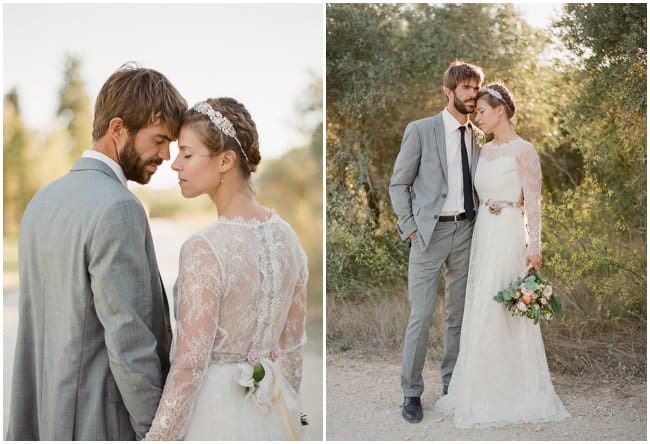 And the photos…swoon!